alvin never stops to amuse us, and entertaining the forum LOL..
i was just pointing out the facts. geezz thanks that was nce of you. oh yeah, wait i think i remember. LOL buy together ma.. forget about me.. suan le. so how is the after bath result? use once only. 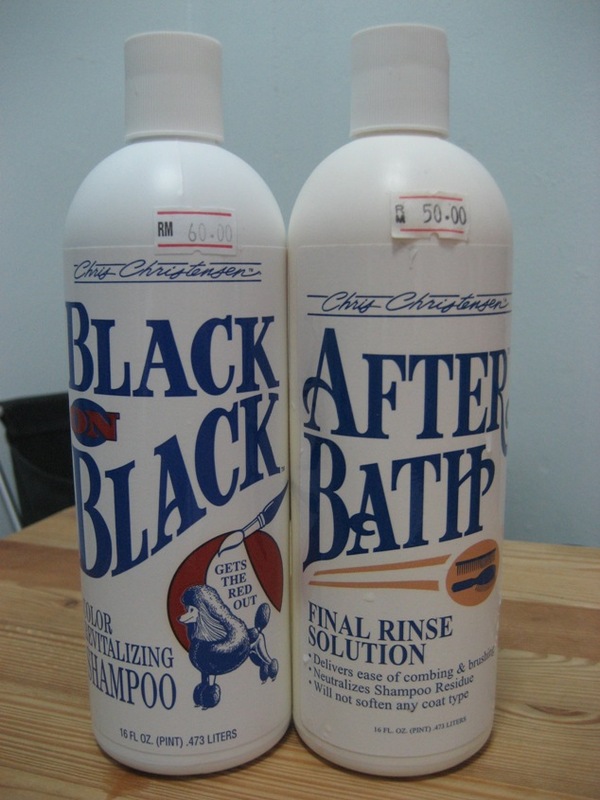 not as soft as using conditioner loh. cant tell the result yet. I got this samples for awhile now, but left with bf, so he brought over for me few days back. 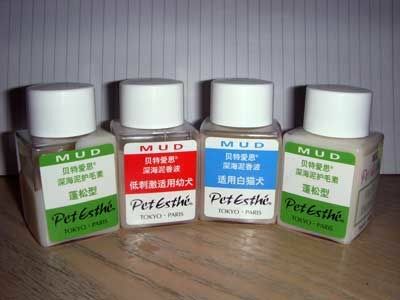 From left: Pet Esthe (MUD) Keep for Volume Up, Pet Esthe (MUD) Shampoo For Low-Stimulating Puppies, Pet Esthe (MUD) Shampoo For White-Haired Dogs, and Pet Esthe (MUD) Keep for Volume Up. I tried this Puppies + Up Up for Sushi. The smell is great. Not so strong like the Pet Esthe professional series. The smells is not strong, a comfortable smell for me.